The more number of online accounts we have, be it social media, various subscriptions or our various work and personal email ids, the more number of passwords we need to remember because it has always bee wiser not to use the same password for two things. But the increasing number of online activity has led to so many passwords, along with non-online passwords like out credit and debit card pins, the combination of our safes and even out briefcases containing vital documents, that in all, it becomes too much to remember. It is not possible to remember each and every one of the passwords, I have even been a victim of a debit card being blocked because I entered the wrong pin thrice because I just could not remember that particular combination. Writing it all down at one place also seems very risky because should someone get their hands on it, it will be the end of our world as we know it. 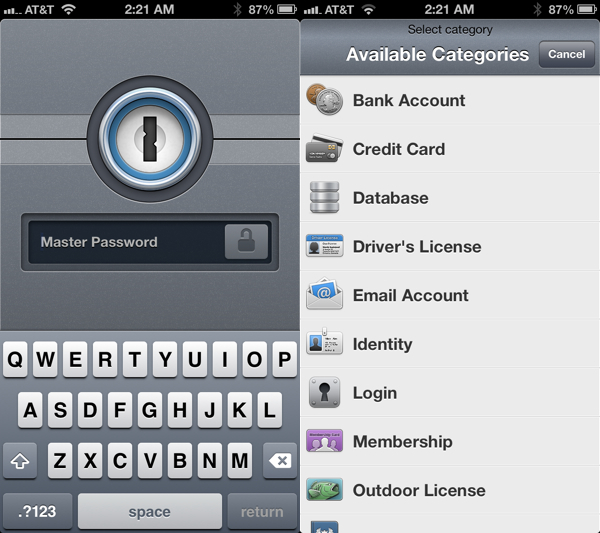 Therefore, please give a warm embrace to an app called 1Password. 1Password creates strong, unique passwords for every site, remembers them all for you, and logs you in with a single tap. It’s the best way to stay secure and the fastest way to use the web. With so much on offer, 1Password proves to be the best deal for you to be more secure about your confidential information, without beating yourself up about remembering everything!